The Gravity Civil WAR from year 1861 to 1865. The Gravity CIVIL WAR between the NORTH and the SOUTH occured in the United States between years 1861 and 1865.
gravitational force between two bodies --> the two bodies ..this being the NORTH and the SOUTH ...bodies of geogarphy land, people, ideas, IRON and machines. 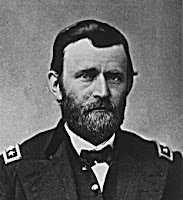 Presidency of Ulysses S. Grant - Personal Memoirs of Ulysses - Ulysses S. Grant, Jr.
U S Gra + ant Jr. The gravitational constant denoted by letter G --> General Grant ...gravity military commander for the NORTH...that is the NORTH POLE magnetic field and its Fe = Ferrous oxide atomic government ...that is Fe= Federal government in Washington, DC for IRON atoms, magnetic fields, and gravity fields that involve subset humanoids living within those fields. 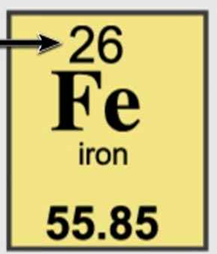 Atomic mass rounded down to integer 55 or rounded up to 56. Gravity interacts with iron atomic mass giving WEIGHT. The gravitational force is extremely weak compared with other fundamental forces. The gravitational force is .... compared with other fundamental forces. The gravitational force is ..... compared with other mental forces. Thus we have gravity interaction with humanoids ..... that are Nature's gravity agents. This bio-gravity information is well known in published subtle messages. What additional CLUES do we have about gravity LIFE and WAR? Gravity ENGLISH grammar words provide information on the structure of gravity society. Gra...y --> hence, the southern soldiers ..representing their gravity field alliance ...wore military uniforms that were the color gray.
" Push my gravity buttons to become a puppet of string theory physics". Thus we see ...COMPUTER EARTH system 370 and the gravity DATA FIELD. Confederate soldiers that dressed in gray on the battle field ..... military subset symbols..
.....fe............................dressed.....gray...................field .....better expressed in Georgia TECH language..
Marietta Confederate Cemetery is the largest Confederate cemetery South of Richmond and is located in Marietta GA.
message to Peru physics agent.........pie .....a piece of the pie with FermILAB iron atom director Pie. Gingrich at a town hall meeting in January 2012. ... Quantum Gravity", published in the Social Text Spring/Summer 1996 "Science Wars" issue, proposed that quantum gravity is a social and linguistic construct. Apr 17, 2012 – American Science Wars. Expressions of the periodic atomic table, gravity, magnetic field, and DNA governments of EARTH .. Thus ...the CIVIL WAR needs to be reviewed ...and explained in terms of the deeper levels of REALITY. In is strange that GEORGIA in year 2102 has no interest in these matters. They must be watching televsion .... the serious side of life. Perhaps, Georgia has some intellectual or curious or responsible exceptions to the general rule of the group mind. They are welcome to help understand gravity and life.